AZURO provides residential and commercial customers uniquely designed, outdoor living environments of exceptional quality and beauty. Trasolini Pools LTD. has been making "your place in the sun" since 1983. With us, you are assured that your pool has the most advanced, trendsetting styles, superb craftsmanship, and masterful engineering and design, as well as the finest mechanical components available. There are many ways to build a pool, but Trasolinis are built to last forever. 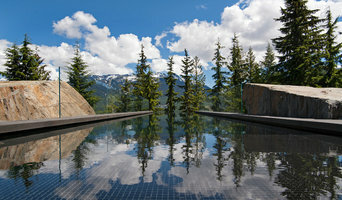 For nearly a quarter of a century, Trasolini Pool LTD. has been crafting the finest in award-winning, custom-designed, custom-made inground Gunite pools in the Vancouver, BC region. There are none finer. But, custom Gunite swimming pools are just a part of what we can do to transform your backyard into your very own personal resort. 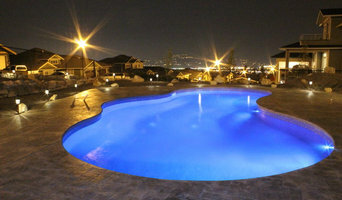 In addition to luxurious residential pools, Trasolini Pools LTD. also provides a host of other services. We can provide you with hot tubs, swirlpools, whirlpools, swimspas, and lap pools, all built to the degree of quality that is the hallmark of Trasolini Pools LTD. We are also experienced in the design and construction of efficient, profitable, commercial swimming pools. To further enhance your personal relaxation, the addition of water features of all sorts, such as fish ponds and fountains, is another facet of our business. Sculptured rock, faux rock, or terrazo decks are yours for the asking. The addition of a negative edge or infinity edge to your new custom swimming pool is also available. Trasolini Pools LTD. doesn't stop at simply building your new dream pool or water feature. We also provide pool consultation, Shotcrete and Gunite work, pool plastering and re-plastering, and all manner of pool repairs. If the time has come to make your dream of a luxurious backyard resort a reality, contact us. Sooner than you think, you too may be the proud owner of a work of art by Trasolini Pools LTD. If you’ve been dreaming of relaxing summer days spent poolside, it may be time to consider hiring a Coquitlam pool builder. A professional can not only help with design and pool installation, but also aid in appropriate maintenance once it’s complete. Whether you're at the beginning stages of planning or want to revamp your existing pool, a pool company in Coquitlam, BC will be able to get you on the right track. What exactly do Coquitlam pool builders do? If you are planning for a new pool in Coquitlam, BC, a swimming pool builder will analyze your outdoor space and your aesthetic wishes to determine an appropriate design for your yard, installing it once the plan is developed and approved. Once installed, some pool companies in Coquitlam, BC can handle the necessary cleanings, water testing, renovations and equipment replacement or repairs for your pool or spa. If not, many can also suggest Coquitlam, BC swimming pool contractors or maintenance services to help with upkeep or repairs down the road. Here are some related professionals and vendors to complement the work of swimming pool builders: Garden & Landscape Supplies, Landscape Architects & Landscape Designers, General Contractors, Landscape Contractors, Solar Energy Contractors. Before hiring a swimming pool construction company to create your new Coquitlam, BC pool, determine how you'll be using it. Will it be for fun or for lap exercise? Will the primary users be children, adults or a mix of the two? Knowing the use can help you find Coquitlam pool builders who shares your aesthetic. Once you find swimming pool builders in Coquitlam, BC who share your style, research is critical. Review customer references and comments, collect at least three to four estimates to compare, meet with potential Coquitlam pool designers and builders in person and ensure that they are British Columbia certified service professionals and licensed with the registrar of contractors before making any final decisions. In addition, get a sense whether they plan to complete the pool installation and be done with it, or whether they seem interested in building a long-term relationship with you. Be wary of the former: it's likely a reflection on the level of quality of the pool construction they do. Find a Coquitlam pool contractor or designer on Houzz. 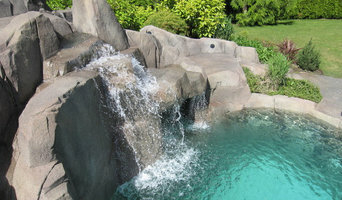 Narrow your search in the Professionals section of the website to pool builders in Coquitlam, BC. You can also look through Coquitlam, BC photos by style to find a pool or spa you like, then contact the local pool company who designed it.